FIVE YOUNG OFFENDERS who escaped from Oberstown detention centre yesterday have now all been apprehended. Gardaí confirmed the five youths escaped from the facility, which provides secure accommodation for young offenders between the ages of 10 and 17, shortly after 6pm yesterday. Three were apprehended and returned to the Lusk centre and two youths remained at large, but the final two young offenders have since been apprehended, gardaí said this morning. 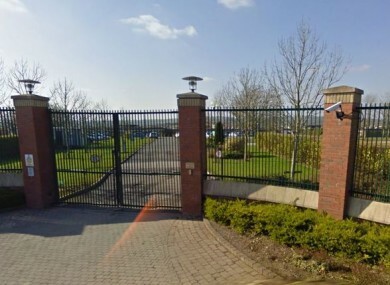 RTÉ reports that the teens were armed with bats and golf clubs during their escape. This is not the first incident to occur at Oberstown. Last year, four teenagers broke out of the centre, while earlier this year, three young teens started a fire in the complex. In June, an inspection of the child detention facility by health watchdog HIQA (Health Information and Quality Authority) found that the centre failed to meet nine out of the 10 standards by which it was evaluated. The facility was criticised for several incidents, including one in which a boy was placed in ‘single separation’ for a period of 27 hours over the course of three days. In May of this year, staff planned strike action over safety concerns at the centre. Unions state workers are at risk of assaults on a daily basis. Email “Five teens apprehended after escaping from Dublin child detention centre”. Feedback on “Five teens apprehended after escaping from Dublin child detention centre”.